Gaming and Representation: Black Streamers on Twitch to Rave About. Since the dawn of time it seems, people have loved playing games. And, as our societies and technology evolved, so did the way we play our favorite games: gaming nowadays is a whole subculture and a community at the same time, where people get to spend time doing the thing they love, meet other people and even sometimes make a stand about things they believe in. Yet black gamers seem underrepresented in the industry – which is why we took to Twitch, the favorite online hangout place for gamers and gaming enthusiasts, and looked for some of the more renowned black streamers out there. 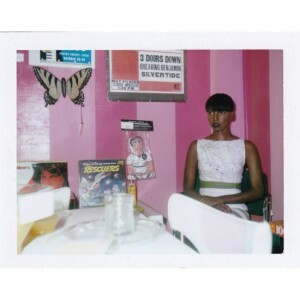 Black people and people of color seem to be gradually yet steadily finding their way into several industries where they were underrepresented, especially in the entertainment sector lately. Recently superhero blockbuster studio Marvel launched their first standalone superhero movie with a black lead and an almost all-black cast and audiences absolutely loved T’ Challa and the rest of the Black Panther pantheon. Meanwhile, Donald Glover is turning heads both with his Atlanta series and as his musical alter ego, Childish Gambino, while Jordan Peele’s Get Out got an Oscar nomination for Best Movie and went home with an award, too. Things are moving forward and gaming could be no exception. Way before Hollywood, the online gaming community already knew how important it is to have diversity and inclusion, as these are hot topics among this crowd. The issue of race in video games has been examined quite a few times, ranging from characters to black game developers. According to a worldwide survey, only 3% of game developers that hold a senior position are people of color. There is a pay gap, too: 45% of white developers earn over $75,000 annually but only 35% of their non-white counterparts make it into that pay scale, while a striking 26% of them get paid less than $15,000 every year, in contrast to only 17% of white developers in that pay scale. Twitch Live is perhaps the epitome of the gaming community right now – an online platform that aims at bringing gamers together to build a community and allow players to grow collectively, through interacting with one another. It builds on the technology of live streaming, by enabling subscribers to watch popular gamers play their favorite games in real time. There are also features that allow people to respond and react to the game, chat and follow each other. In essence, it is like a social media and a diverse gaming platform in one. Live streaming and games are no strangers, as the technology is widely used in eSports as well as in more traditional types of gaming, like roulette games at online casinos such as Betway Casino Live, where live streaming is used to connect players to the dealer in real time. It has also conquered social media – everyone knows about Facebook Live, which lets users live stream content, or Twitter’s Periscope. Twitch quickly grew in popularity and, in 2014, it was acquired by Amazon for $970 million. Black Girl Gamers is one of the most popular black channels on Twitch. Founded by Jay-Ann Lopez in 2016, it grew fast and it grew strong and currently has over 1,000 members. It intends to serve as an online streaming community for black female gamers, a group that surely deserves more space in gaming. Lopez, a popular streamer herself, is mainly into Xbox and PC gaming, yet the interests of the games that make up BGG are diverse and fit for every taste – whether you like Overwatch, Slender or LoL, you are sure to find something right up your alley in this channel. Lopez says that her own experience of game streaming and wanting to connect with more people like her pushed her to start BGG. In essence, the concept is the same as Twitch’s: when people with shared interests come together, wonderful things can happen. AlexisAyeee is another one of those incredible black female streamers out there and she is quite unique in blending her gaming ninja skills with her quirky hip-hop knowledge. She started out like so many others, as a follower of other Twitch streamers, before she moved on to start a channel of her own. Her experience in chatting and engaging with other gamers has helped her gather a very devoted following – and her witty humor and fluency in Japanese is an added bonus. She is a strong believer in doing things because you are having fun and this is what she tries to get across in her Twitch legacy, too. Although she is young, she is already established in Fallout and, in general, prefers first-person shooter and sports games. BlackOni also started out as a fan first but, soon enough, he started tasting the waters of streaming gaming content himself. He got hooked during the Extra Life event because he really loved how the whole experience truly brought the community together – and the rest is history. His gaming poison of choice is Metal Gear Solid and he credits it with changing his perspective about games in general, describing it as a cross between a game and a movie. Brandon (UGRGaming) is another talented black streamer, mainly focused on Overwatch and Resident Evil. Just like many members of the Twitch community and BlackOni, he appreciates the social aspect of Twitch. For Tanya (INeedDivGames), a Twitch veteran of sorts, the community is an incredibly educating tool, too. Gamers can test drive games they would like to play by following streamers or they could even do it to improve their gameplay. For others, like SimplyUndrea, gaming is an emotional thing. Undrea used to game with her father and turned to Twitch after he passed away – and it helped her deal with grief. When she is not gaming, she is active in supporting causes like mental health non-profit organization Take This. 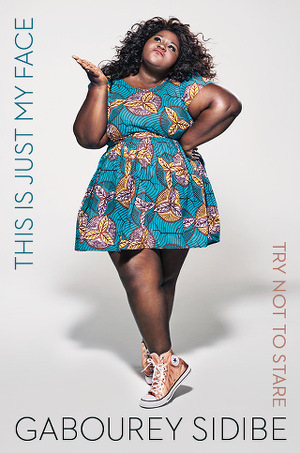 Twitch also recently celebrated Black History Month by showcasing some of the best black streamers out there. We can only hope that more people get inspired by black streamers and join the quiet revolution. 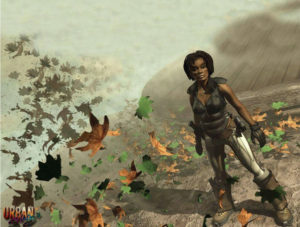 The Most Famous Black Women in Video Games. 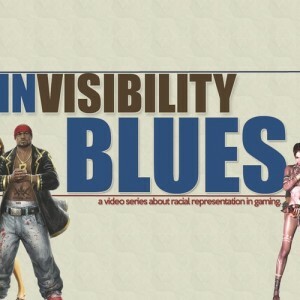 Upcoming Series Will Explore Race in Video Games. Will The MCU Have A Black Female Superhero? 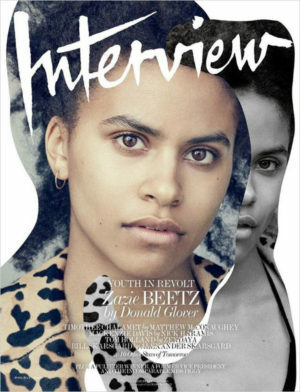 ‘Atlanta’s’ Zazie Beetz Covers Interview Magazine. Support It. Rain. 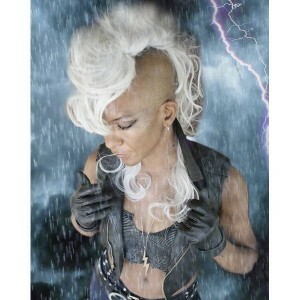 A Fan Film About Marvel Superhero Storm.